‘This weekend the British Fantasy Society is hosting its annual convention, Fantasy Con. I noticed the cover of a new book the BFS is launching at the convention: a collection of interviews with writers (the first in a trilogy) in which they discuss their genre. It’s called In Conversation: A Writer’s Perspective. Volume One: Horror. It’s edited by James Cooper, and is composed of 16 interviews with horror authors Ramsey Campbell, Tom Piccirilli, Greg F. Gifune, Conrad Williams, Joe R. Lansdale, Gary McMahon, Brian Keene, Stephen Gallagher, Jeffrey Thomas, Peter Crowther, Tim Lebbon, Ray Garton, Mark Morris, Gary Fry, Graham Joyce and Norman Partridge. Not a single woman is interviewed. Simply put, this is not representative of the horror field today. 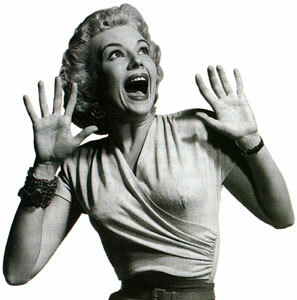 I’ve been advised that women submit less to horror markets than they do to science fiction or fantasy. In those genres women submit at a rate of 35-40%, approximately. Out of a collection of 16 authors five women would indicate representation. In this collection perhaps four, or at the very least three, women would have been correct. This isn’t an anthology (although Mr. Cooper’s previous anthology of horror fiction is also exclusively male). Mr. Cooper had to sit down and draw up a list of writers he wanted to contact, interview them, and transcribe their views. I’m baffled that he never considered asking a woman writer for her opinion about horror. Plus, I find it incredible that not a single person in the BFS noticed this lack and brought it to Mr. Cooper’s attention. Here are a just a few writers he could have approached: Tanith Lee, Lisa Tuttle, M. Rickert, Sarah Langan, Margo Lanagan, Sarah Pinborough, Tananarive Due, Sara Gran, Alexandra Sokoloff, Gemma Files, Cherie Priest, Fran Friel, and Melanie Tem. That list took five minutes to compile with a friend (and it’s certainly not exhaustive – there are many others). I’m sure three, four or five of them would have been happy to agree to an interview. There are no excuses for this omission. That it happens, and it was allowed to happen, speaks to the deeply cultured disregard for women’s opinion in the world. I see it every day. We are marginalised, silenced, side-lined, forgotten, conveniently dropped, patronised, under-represented, dismissed, subtly intimidated and ignored. I’m not interested in assassinating characters or insulting a society that generally does good work. I want this never to happen again. I never want to see an all-male anthology or collection or essays/interviews in the speculative field again. Enough. It’s the twenty-first century. Women exist, we work in this field, and we deserve recognition. It’s that simple. …there are many more whose names escape me at the moment. Point made, guys? Chris, thanks for the mention. I should say that my list of women horror writers was quickly assembled. There are far, far more out there, many who deserve a shout-out. A lot of people have been commenting on this to me via different media and all of them are seriously unimpressed with the collection. Plus, when Frankenstein was first published, there was no author’s name noted. Part of this was due to the fact she wasn’t married to Mr. Shelley, but one wonders. One of my all time fave books was The Haunting of Hill House by Shirley Jackson, plus some of Joanna Russ’s early work was horror. Thanks for speaking out, Christopher. It does get tiresome. Thanks for including me in your short list! I’d like to add the brilliant Mo Hayder to your list – considered a crime writer but I think she writes some of the most horrific and smart fiction out there. I dare you to sleep after you’ve read THE TREATMENT. And a new voice who’s going to be shaking things up: Rhodi Hawk, whose A TWISTED LADDER just debuted. Mary Godwin bore a child by Percy Shelley in February 1815; she started writing the story in the summer of 1816; pregnant again, she married Shelley in December of 1816– immediately after the death of Shelley’s wife Harriet; therefore they were married at the time the book was published in 1818. I wish I knew more about the reasons the book appeared without naming the author. As it happens, I am currently reading up on Mary Shelley in preparation for a lecture, so perhaps I will understand this better soon. Tananarive Due is an AWESOME writer, one of my all-time favorites – next to Chris, of course. I am ashamed to say I’ve never heard of many of the others, but grateful to have a list of new authors to check out – which I SHALL be doing! Maura – Thank you so much for writing this post, and thank you for the kind mention. I’m honored to be included in such a line-up. In addition to the gents including us, I suppose we gals need to do more anthologies of our own. No doubt a nice mix would be found.